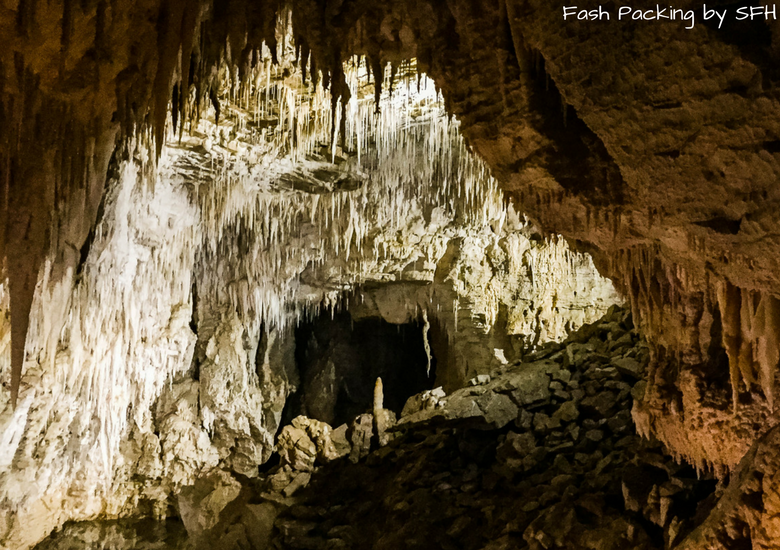 Waitomo Caves is a Speleologist’s dream. 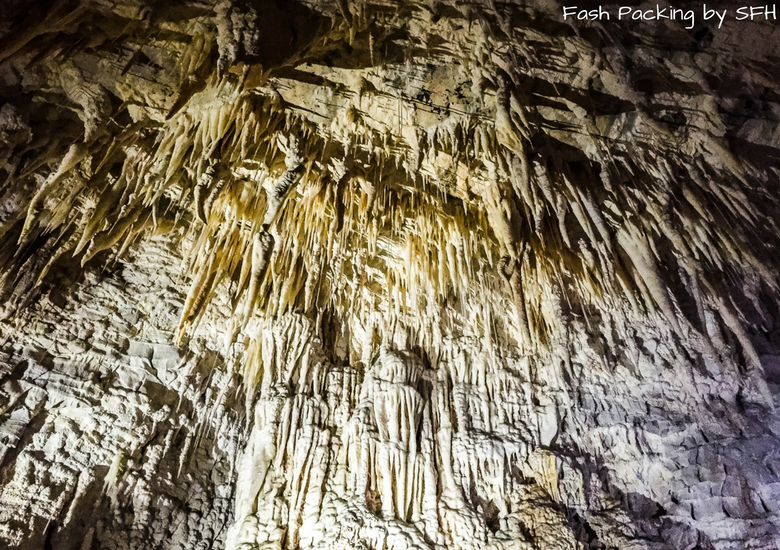 Speleology is the study of caves (I googled it!) and visitors are offered a taste with expert guides who impart their vast knowledge. 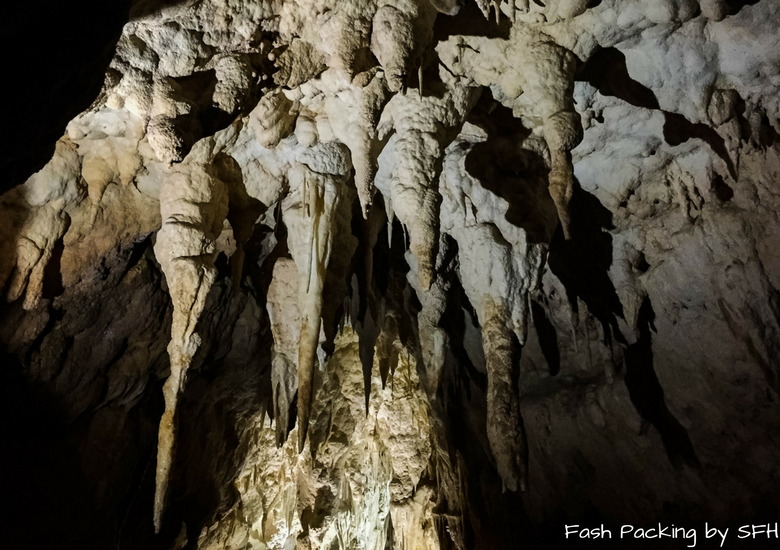 The easiest way to get to Waitomo Caves is to drive and we hired a Hyundai i20 through Airport Rentals at the rock bottom price of $20 per day. When you consider a bus from Auckland will set you back about $200 return it makes much more sense to hire a car. Free parking is also provided across the road making it even greater value. 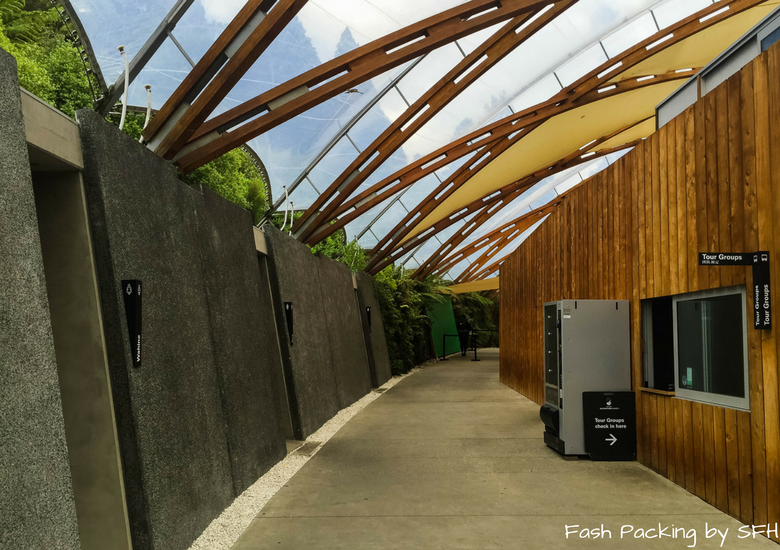 I was immediately impressed by the unexpectedly modern Waitomo Caves Visitor Centre. Given they are celebrating 125 years in operation it has clearly had a recent face lift. 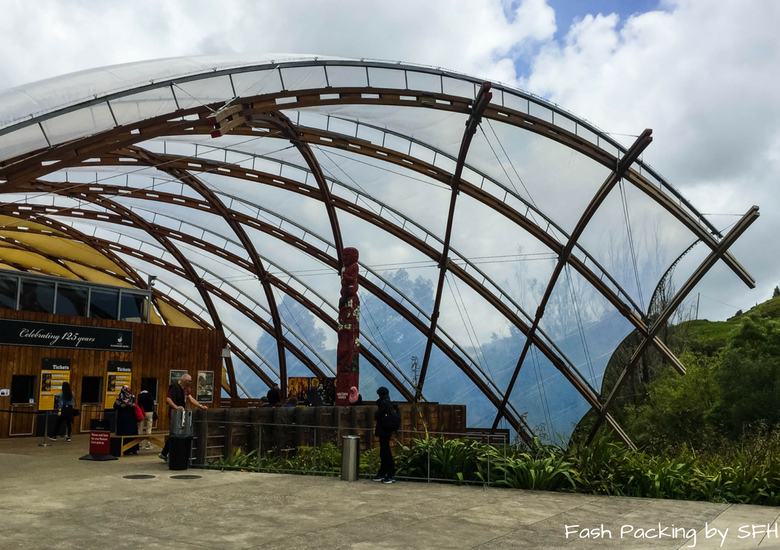 The ticket booths are underneath the giant overhead canopy where you will have to make the difficult decision of choosing which of the three caves to discover; Waitomo Glowworm Cave, Ruakuri Cave and/or Aranui Cave. 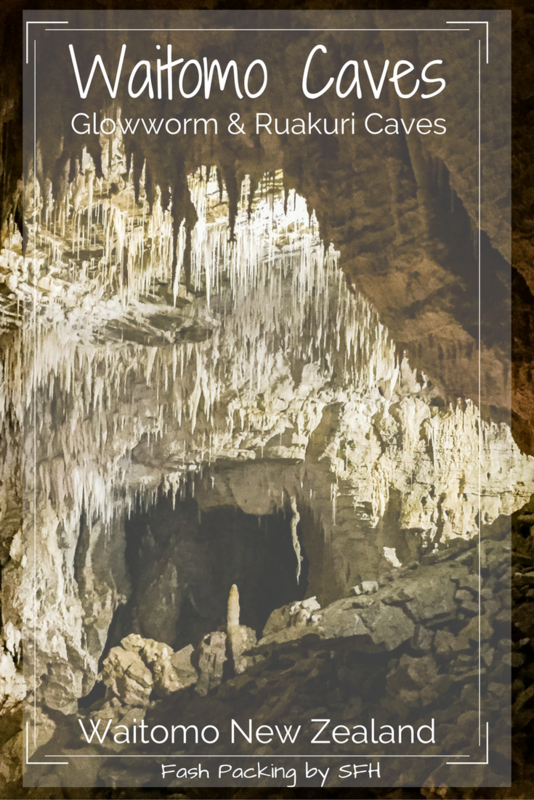 Individual cave tickets start at $50 but combining them provides the best value. 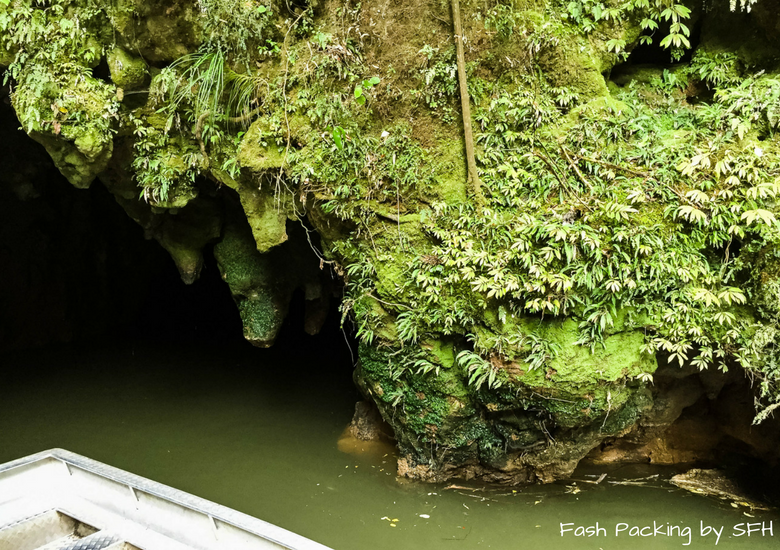 We chose the most popular combo for entry into Ruakuri Cave and Waitomo Glowworm Cave. Ruakuri Cave must be booked in advance but Waitomo Glowworm Cave tours leave every 30 minutes. If you are feeling peckish why not grab a bite from the onsite restaurant. It seats 250 with ease in an open air setting under the canopy and the tight menu has something for everyone. Downstairs you will find the well stocked and reasonably priced gift shop. I picked up some NZ pens for my work colleagues and really liked the Alpine Silk cosmetic range. When you return to the surface why not tramp (Kiwi talk for hiking!) one of the many walking trails in the area to round out a perfect day out. First rule of Waitomo Glowworm Cave: No Photography allowed! In today’s Instagram and Snapchat heavy world this may surprise some visitors but the glowworms are rather shy creatures who are startled by noise and light and the strictly enforced rule is not only to ensure their well being but to make sure that you get the very best display. That said, Waitomo Caves knows that you will want a souvenir to take home so they have a rather nifty green screen set up just before you enter the cave that will sort you out with a spectacular pic. We met our guide Ty near the cafe and were escorted the short distance behind the complex to the entrance of the cave. It takes your eyes a little while to adjust to the light so take it slowly when you first enter. Ty escorted us down the stairs to cathedral cave, highlighting points of interest along the way. 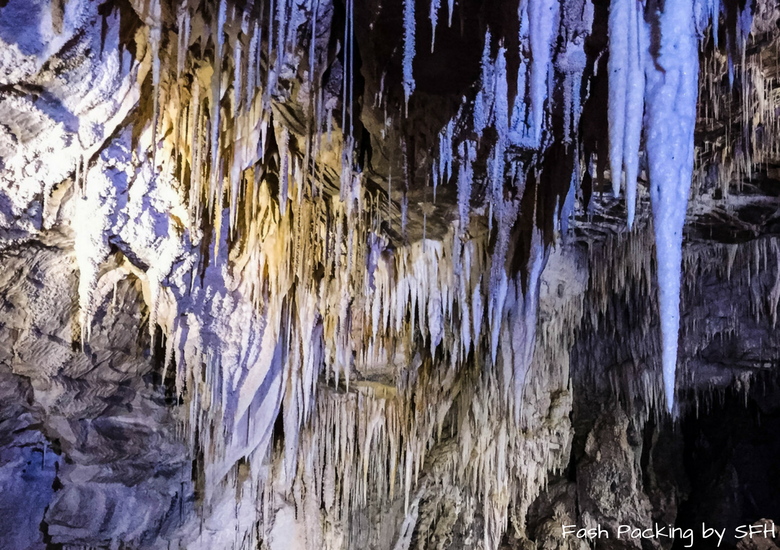 Cathedral cave is a large open space with excellent acoustics which has hosted live music performances by the likes of Katy Perry, Kenny Rogers and the Vienna Boys Choir. It would have been awesome to hear Katy rock out underground! Absolute silence is required before boarding the boat for the second half of the tour to ensure an optimum show by the miniature miracles. There are no motors on these boats and Ty pulled our very full boat along the underground river using overhead ropes. The silence is deafening and very refreshing in this noise polluted world. Glowworms glow when they are hungry as a means of attracting their prey and given the blanket of brightly lit tails overhead they must have been starving. (Photo courtesy of Waitomo Caves – See the first rule of Waitomo Glowworm Cave!). All too quickly the light appears at the end of the tunnel and it’s time to return to the surface. It’s a short stroll back to the visitor centre as your eyes readjust to the bright sunlight. Don’t forget to stop at the gift shop to check out your green screen shots before you leave. 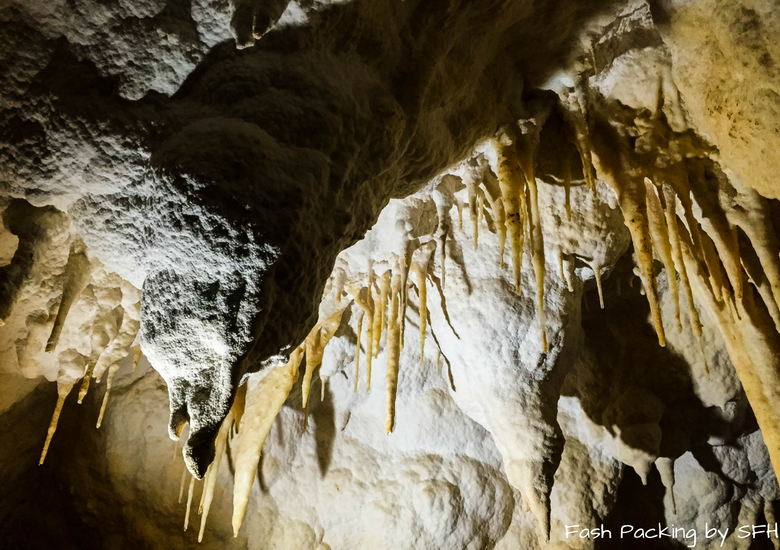 Ruakuri Cave is New Zealand’s longest underground guided walking tour and is not to be missed. The courtesy bus collects you from the Waitomo Caves Visitors Centre and transports you the short distance to the man made cave entrance which reminded me a little bit of a set from The Flintstones. Our guides Matt and Emma hosted introductions and we had travellers from Malaysia, India, Pakistan, the USA, England, Canada and of course The Hubs and I from Australia in our eclectic group. We couldn’t have asked for better guides and despite having only 4 weeks on the job Matt was knowledgeable and able to answer all questions from our group easily during our tour. Emma made sure to connect with each visitor and we had a great chat about online shopping and our NZ itinerary. When I mentioned our visit to Skyline Rotorua was rained out her bubbly Kiwi enthusiasm shone through as she declared it the very best time to visit as the sleds on the downhill luge goes faster in the rain. I’ll have to take her word for it! Entering Ruakuri cave is surreal. A vast neon lit spiral walkway leads you away from the surface and seems to go on forever. At it’s deepest point you will find yourselves approx 65 metres underground. The cave is almost entirely owned by the Holden family and has a rich history. There are a few tight spaces where you need to duck and weave so if you are claustrophobic this may not be the tour for you. Unlike the Waitomo Glowworn Cave photography is encouraged in Ruakuri Cave and opportunities abound. The pretties were spectacular and I really liked the curtain formations. I’m a tactile person and I constantly had to resist the urge to touch which is strictly prohibited as the oil in human skin can destroy the precious formations. As you pass through each section feature lighting is triggered by the guides to show the limestone structures in all their glory. The name Ruakuri is Māori and pays tribute to two dogs which a local tribe killed many years ago. 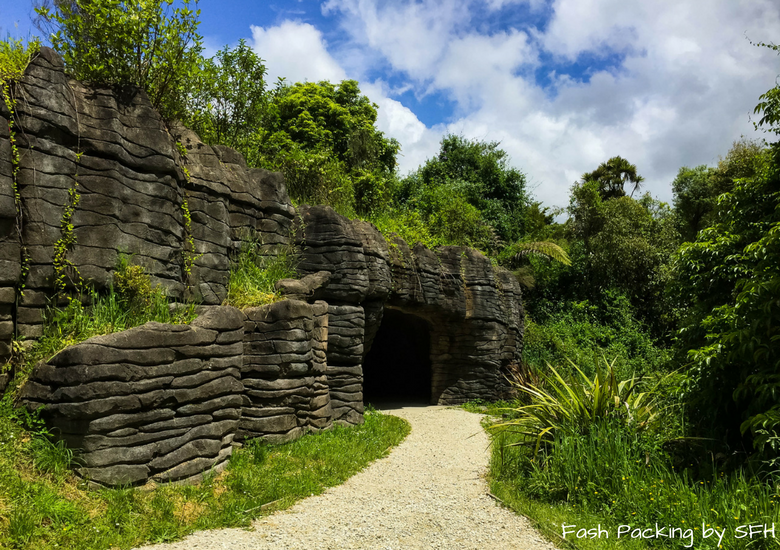 Early Māori believed that caves were the crossover to the afterlife and they would never explore any further than the daylight would reach. Along the way Matt pointed out clusters of tiny glowworms. While not as prolific as in the Waitomo Glowworm Cave, Ruakuri cave offered an opportunity to get closer and see the delicate feeding threads. Stalactites and stalagmites cover almost every surface and as we were walking the trickling water was adding to their growth ever so slowly. At the conclusion of the tour we boarded the bus for the short ride back to the visitors centre a whole lot more knowledgeable about this unique environment. We had a fantastic afternoon at Waitomo Caves. Both caves offer quite a different experience so I would recommending doing the combo. 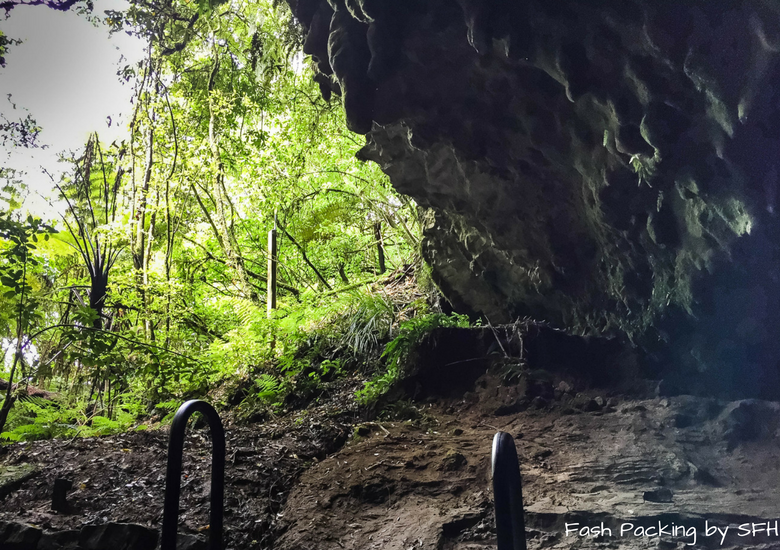 If time is short and you can only fit in one, pick Ruakuri Cave as it offers the best of both worlds. If you are heading to NZ for the first time my New Zealand essentials post is a must read and bargain hunters should check out my tips on scoring a cheap flight before booking anything! 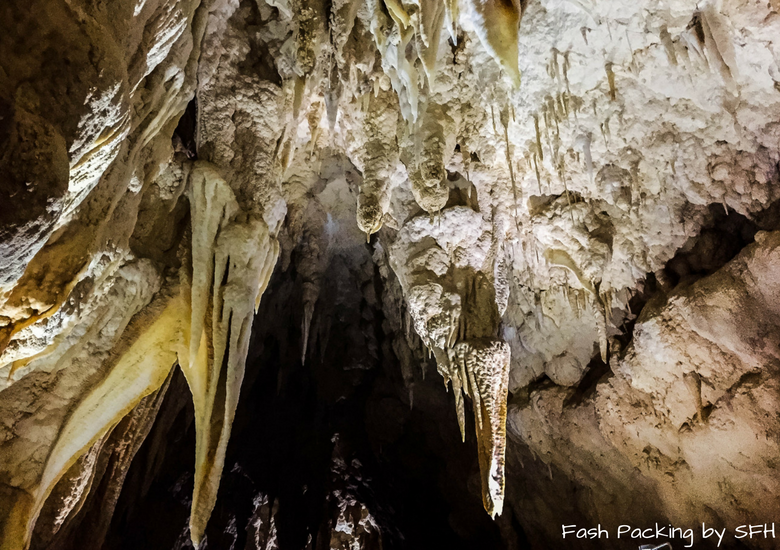 Will Waitomo Caves be on your ‘to do’ list when you are next in New Zealand? I would love to hear you thoughts in the comments below. 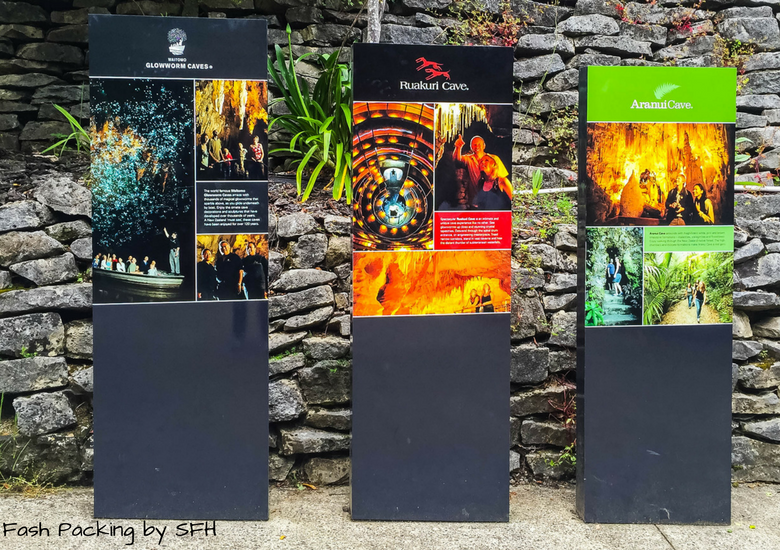 Disclaimer: Waitomo Caves kindly hosted us as part of our visit to New Zealand. As always, all opinions are my own. Oh my goodness, that must have been so cool to see in person. The insides of the cave look so incredible! Great pictures, and thanks so much for sharing this!! It was stunning! Very cool to see Jackie ? It’s even better in real life Megan ? How awesome. It looks like a great experience. It really was Stephanie! Well worth a visit ? What a unique experience! I have never seen glowworms before and would love to do that. Not being able to take photos inside the cave must have been hard for some tourists! But on the other had, it’s so good because then you focus on the experience of seeing these amazing creatures. 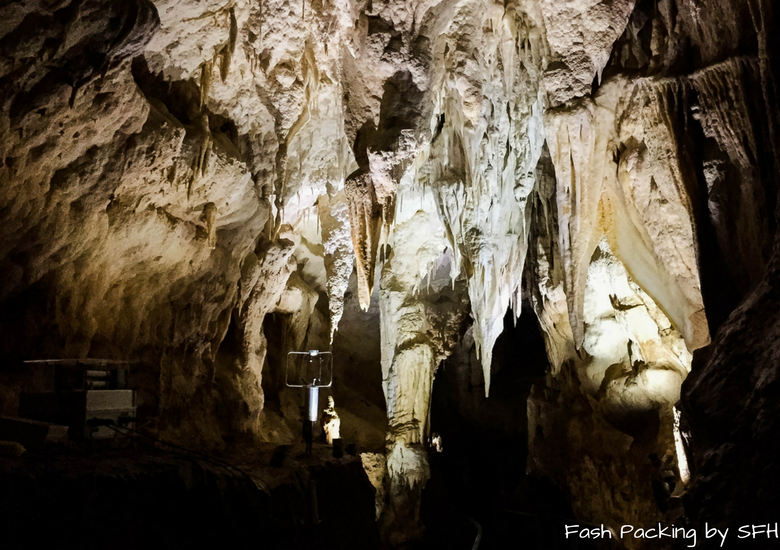 It’s good to know that it’s best to visit Ruakuri Cave first if you are short on time. Wow Allison, I’ve never seen anything like those glowworm caves. You are so lucky to have seen them up close. In our Insta obsessed world, you know you’re somewhere special when you can’t take photos. It must have been a really unique experience. This is so true Cliodhna. Some things are just better seen in person ? These caves are so cool, Allison! The way the rocks hang down looks like they should be icicles and not just rock – I don’t think I’ve ever seen anything like it. I’d love to see the glow worm display as well – also something I’ve never seen before! Such a pity I couldn’t take any photos of the glowworms Diana! 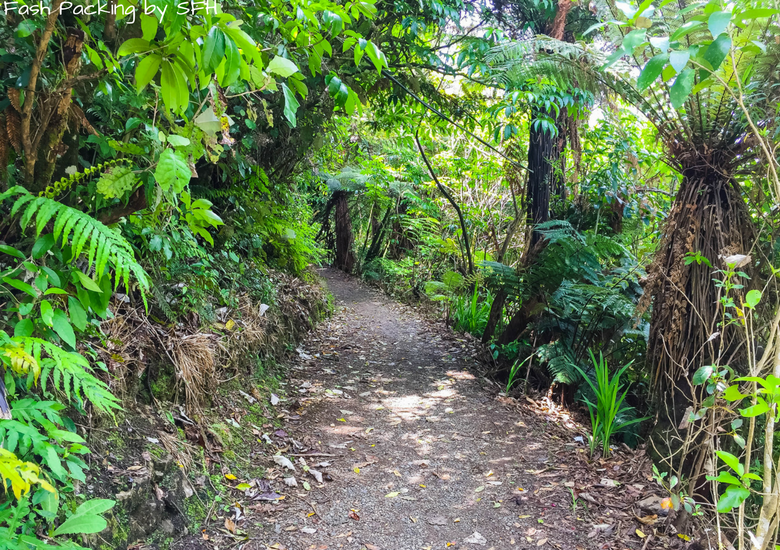 You’ll just have to go to Waitimo and check it out for yourself ? This looks like an amazing experience! As a photographer, the no photography rule makes me sad but I can see their reasoning. I’d love to visit one day! Nadine I think you would be OK in the glowworm caves but depending how acute your fear is Ruakuri may be a challenge in parts. What a truly unique spot to explore. Caving and exploring subterranean rivers is one of our fave kinds of adventure at GGT. Must-try this when we get a chance to visit NZ again! It was such a unique experience. I have been in a few caves before but never an underground river. Hope you get back to NZ soon ? Allison, I’m so jealous, that sounds incredible! I’m glad you googled ‘Speleologist’, learnt something new today now 🙂 but where is your green screen picture? Would love to see it! For sure Waitomi caves is now on the bucket list! It was awesome Kirstin. Google is a wonderful thing ? Unfortunately my green screen pic was rather unflattering and no one needs to see that lol. Hope you make it to Waitomo soon. Wow, this looks like such an incredible place to visit…it’s definitely on my bucket list now! 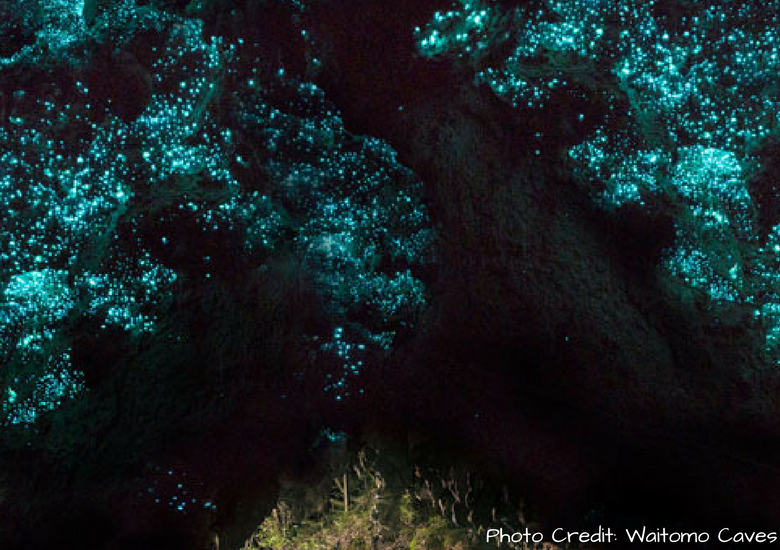 I’ve seen those glow worm caves on documentaries, I bet it’s really incredible in person. Probably good they don’t allow photography…there are very few places like that anymore! It is just mesmerising and the silence really adds to the experience. It was nice just to enjoy the moment without trying to get that perfect pic ?